As another school year comes to a close, be sure you bookmark this page and check back to see where to get rewarded with these fun FREEBIES & rewards when children bring home their report cards! Kids, bring in your report cards and get rewarded for your hard work! Score Freebies & Discounts for your academic achievements! 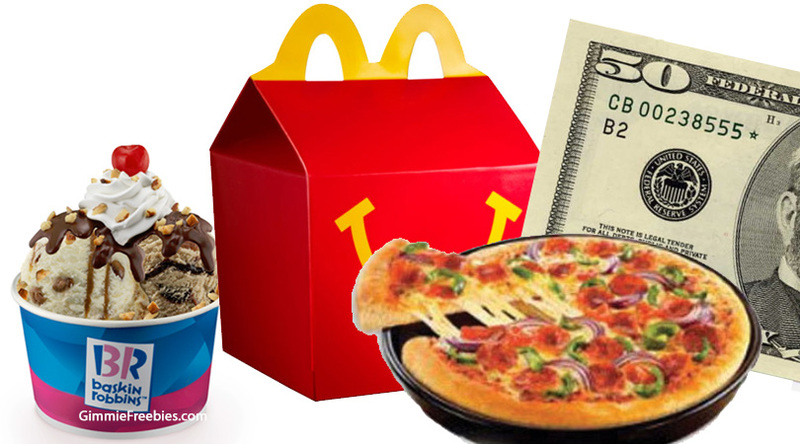 Here’s our big list of freebies & deals we’ve found that reward for good report cards. Justice Stores – participating locations have given $5 off in-store purchase when you bring in a report card within 30 days of issue. Limited Too – save $5 off in-store purchase when you bring in a report card within 30 days of issue. Applebee’s -The A is for Apple Program gives kids a certificate for a free kids’ meal. This program is only open to schools, though. If you’re a parent, contact your child’s teacher to let her know about this program that offers rewards for students. Participating locations. Baskin-Robbins – Free scoop of ice cream for good grades. Check with your local B&R for participation. Bob Evans: Select locations offer a free scoop of ice cream for students that received good grades. Chick-fil-A – Free 8-pack of chicken nuggets or free ice cream cone for A’s and B’s. Please check at your local participating locations. Chuck E. Cheese’s – Kids earn up to 15 tokens for their good grades (food purchase is required) Check with your local restaurant for participation. Cold Stone Creamery – Free ice cream for good grades. Kindergarten students up to fifth graders can participate. Check with local store for participation. IHOP – free kids meal with a good report card grades. Check with your local IHOP for participation. Jason’s Deli JD Pickle Reward – Teachers and parents can award children under 12 J.D. Pickle Cards to redeem for a free kids’ meal. Krispy Kreme – A free doughnut for A ’s on students report card. Check with local store for participation. Long John Silvers – School administrators can contact the local restaurant to see if they have any rewards for good grades programs. Marco Pizza – will give the “A” student a small 1 topping pizza; one per student. Noah’s Bagels – Free bagel for every A for kids, grades 1-8. Check with your local restaurant for participation. Peter Piper Pizza – Free 7″ 1-topping pizza for good grades on the students report card. (locations in TX, NM, AZ, CA, MX) Contact your local Peter Piper Pizza for what specials they have! Pizza Hut – Free personal pan pizza and soda or milk for Elementary thru Middle School age kids with at least 3 A’s (dine-in only). And don’t forget to register for Pizza Hut’s Book It program, offering free personal pan pizzas for meeting reading goals. Check with local store for participation. Qdoba – Free kids meal A’s on report card. Check with your local restaurant for participation. The Melting Pot– Earn free “Fun-Due” at The Melting Pot with A’s on your report card. Present your child’s report card to your server and receive a Three-Course Petite Feast, including cheese, a pick-three entrée, and chocolate fondue. Check with your local restaurant for participation. Sonic Drive-In – offers free stuff for students with good grades, plus incentives for teachers and schools. Participating locations only, so be sure to call ahead and make sure yours has a program. Also promote Limeades for Learning Program, which has donated more than $2.7 million dollars to teachers’ projects since 2009. Wayback Burgers – free kids meal with A’s. Check with your local restaurant. Wendy’s – Free Frosty for kids with A’s and B’s at participating locations. Must show report card. Bowl America Rolling Rewards – Students can get 5 FREE games if you earned an “A” (or the equivalent grade) over the course of the 2016-17. Use these free games throughout the summer. Must bring final report for 2016=2017 to be eligible. Kudzoo App – Middle school and college students can download the FREE Kudzoo app and build Kudzoo cash to use in your favorite places. Minor League Baseball – many teams have rewards for good grades. Search for your local team here. Flying Squirrels (Richmond, VA) – Score An “A” Free Ticket Program – For every “A” on your current K-12 report card during the 3rd & 4th marking period you will earn a FREE General Admission ticket to a regular season Richmond Flying Squirrels’ game! YOU can offer your kids rewards – either monetary or non-monetary rewards for good grades and reaching various goals! Don’t feel like you need to pay for something they should be doing anyway. And don’t feel like you need to rely on things like those listed above to show your kids you appreciate their hard work! Good grades should be the norm, not the exception — in most cases anyway. So, get creative and talk to your kids about what would motivate them. Report Card Party! Have a party and invite friends or family. Bake a cake and play games. It doesn’t have to be a huge affair, just a gathering to acknowledge a job well done. Kid’s Choice! My daughter looooveeeesss to go to the movies! If left up to her, we’d go to the movies every time we’re going to do something fun together as a family. So, a great reward for good grades for her would be movie night. Let your kids decide what they want to do and have fun together. Go to the park together and leave the smartphones and tablets at home! Unplug and spend some one-on-one time together. Hit the slide together, swing for a while and talk to each other. Remember, they don’t stay young very long! Check out a local museum together. You could all learn something new! And, you can get Free Museum Admission the first weekend of every month! Take a hike! Nothing says “great job!” like getting up off the couch and doing something monumental! Set a goal and pack a picnic lunch (or try our homemade trail mix recipe + 5 Healthy Ingredients to use! ), then hit the trail together! Grab your bikes and see where they take you. Tell your kids about how you got around before you got your driver’s license. Whether it was by bicycle, skateboard or Rollerblades — they might not realize there was ever a younger you! ? Game Night! Grab some board games and spend quality time together, unplugged, as a family! * Be sure to call ahead before you go, to make certain your local stores are participating. Don't miss our HUGE list of Free Events! Looking for free things to do, free date night ideas and free family fun? Check it out!